Alastair Simpson is a product design manager, leader and mentor who loves working with multi-disciplinary teams to solve complex business and interaction design challenges. 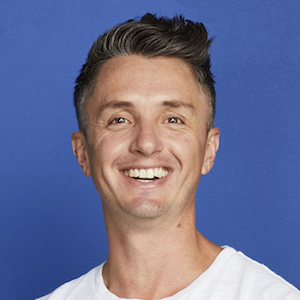 Alastair currently leads a cross-geo design team at Atlassian across a portfolio of cloud products and platforms: Trello, Confluence, Platform, Design System, Ecosystem and Growth. Alastair also owns a rather large sneaker collection.